Learn ideas for how to co-lead a literacy initiative at your school. How do you help lead the literacy initiative at your school? I feel so privileged to co-lead this incredible program for our middle school students. I am blessed to work side by side with an incredible science teacher who is passionate about the literacy of our students as well, and the success of this program at our school. Holding teachers accountable utilizing practical strategies as well as fun incentives to reward our awesome teachers for all of their excellent work. How do you use data to inform your teaching practice? As a classroom teacher, I find the organic process of noticing trends as I grade individual assignments by class, to be the most informative as to what my students need next to fill in any gaps in understanding. The detailed graphs and various ways to access data through the ThinkCERCA platform are also highly specific and make noting trends among students very easy, especially if I want to see a more holistic view of how students are performing overall at our school. How do you use literacy to help your students make connections to real-world issues? One of the things I appreciate most about using Writing Lessons that directly and thematically correlate to the novels that we are reading in class is that they help students to focus on critically examining themes from an argumentative perspective, which is what will in turn enable them to critically evaluate the issues surrounding them, both in our world today and in the future. The skill of critical thinking can then be applied for the rest of their lives, producing not only productive citizens, but also thoughtful and empathetic human beings who get involved in the world around them to make a difference for the better. What advice would you give to fellow ThinkCERCA teachers? ThinkCERCA is such a powerful resource, but it can never take the place of the classroom teacher. It is up to us as educators to utilize the program in a way that is both engaging and meaningful for our students. If something is not working, try a new strategy, a different scaffold, take it offline, turn it into a game, or mix it up. Our passion translates to our students! I love that CERCA is not a format, but a framework. Utilize it in such a way that works for the unique purpose of your classroom! What are your favorite ThinkCERCA lessons or activities? I’m especially partial to what my students and I like to call “the confetti lessons” (aka, Skills Lessons). All of these foundational lessons, specifically the ones that focus on each respective element of the CERCA framework, are engaging for students, as well as good reinforcement and practice for content that has already been introduced. As far as Writing Lessons are concerned, I am most fond of those that directly correlate to the novels we are reading thematically. For example, the CERCA lesson on “The Lottery” is great in preparation for a unit on The Giver. 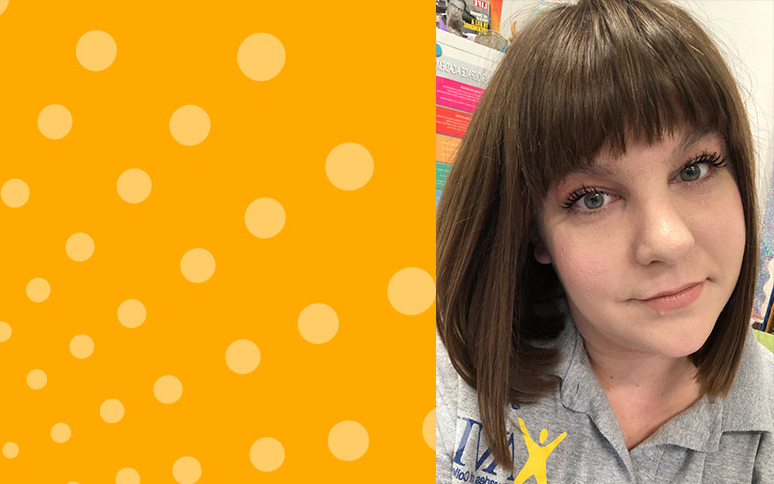 Liz Kenney is a 7th-grade ELA and 8th-grade AVID teacher in Palmdale, California. She is a certified ThinkCERCA Lead Teacher.